History — Builders Supply Company, inc.
Builders Supply Company Inc, celebrating over 100 years, 1913 to present day. Builders Supply began delivering building materials with mules and wagons in 1913, and had the first ready-mixed concrete trucks in North Louisiana in 1932. Today, Builders Supply continues to pioneer new and better ways to serve its customers and provide for the safety and comfort of its team who deliver that service. The Golden family has been involved in Builders Supply for over 80 years. H.W.G. Golden started working at the company right out of college and continued his career there for 64 years. His sons, Grady and Bill, joined him after they graduated from college; they are currently serving as Sr. Vice President and Vice President, respectively. G. Carlton Golden, Jr., Grady’s son, is President and CFO; the fourth generation is also involved in the business. Builders Supply is honored to be a part of the history and growth of its community for over 100 years. Some of the many notable projects the company has furnished as the first of their kind in the area include Regions Tower, the tallest building in Shreveport; Cyber Innovation Center; Sci-Port: Louisiana’s Science Center; Louisiana Boardwalk; and, Shreveport Convention Center and Parking Garage. Builders Supply was incorporated on February 27, 1913 by J.J. Hamiter. Mr. Hamiter would remain at Builders until he retired on December 31, 1951. 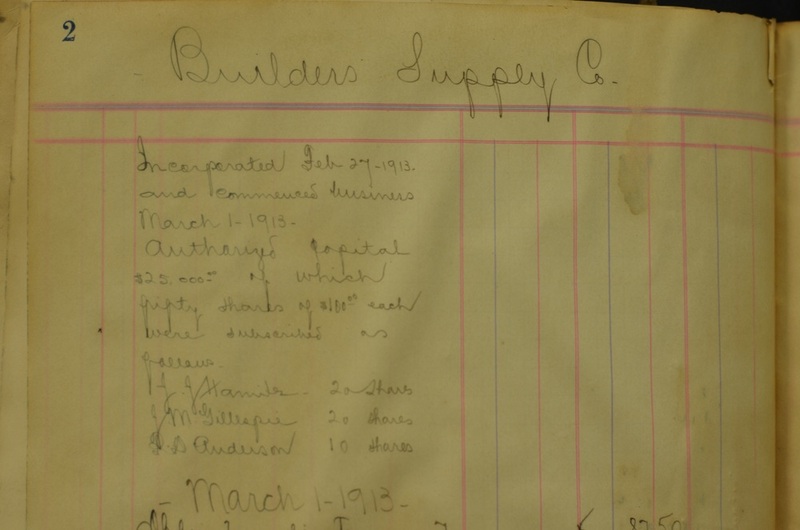 Builders Supply opened for business on March 1, 1913 on McNeil St in Shreveport, Louisiana. As seen in the very first general ledger book, supplies purchased on that first day of business included an Underwood Typewriter and a team of 4 horse mules purchased for $306.25 each. Builders Supply would remain on McNeil for only one year before moving to its present day location on Marshall St in 1914. Other early purchases included lumber to repair a stable, feed for the mules an old hickory wagon and a harness. In the early days, Builders Supply used mules and wagons to delivery building material goods. These two large sand and gravel bins shown in this picture from 1930 were purchased for $2731.00 each. An electric crane was also purchased for $3060.00. The crane would pick up material and would dump into the large bins. Small 2 or 3 yard dump trucks would pull under the bins and would be loaded with material. In the background you can see the office and main warehouse that was built in 1926. 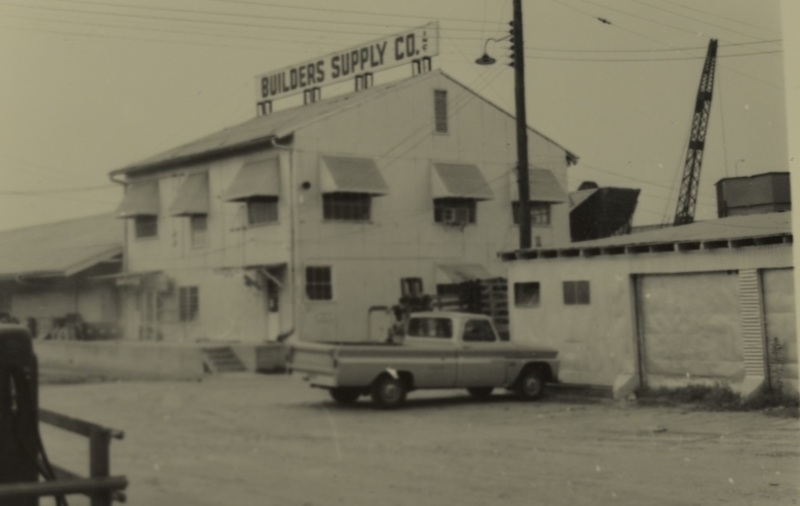 To advertise the company, the words “Builders Supply Co.” was painted on top of the warehouse building. 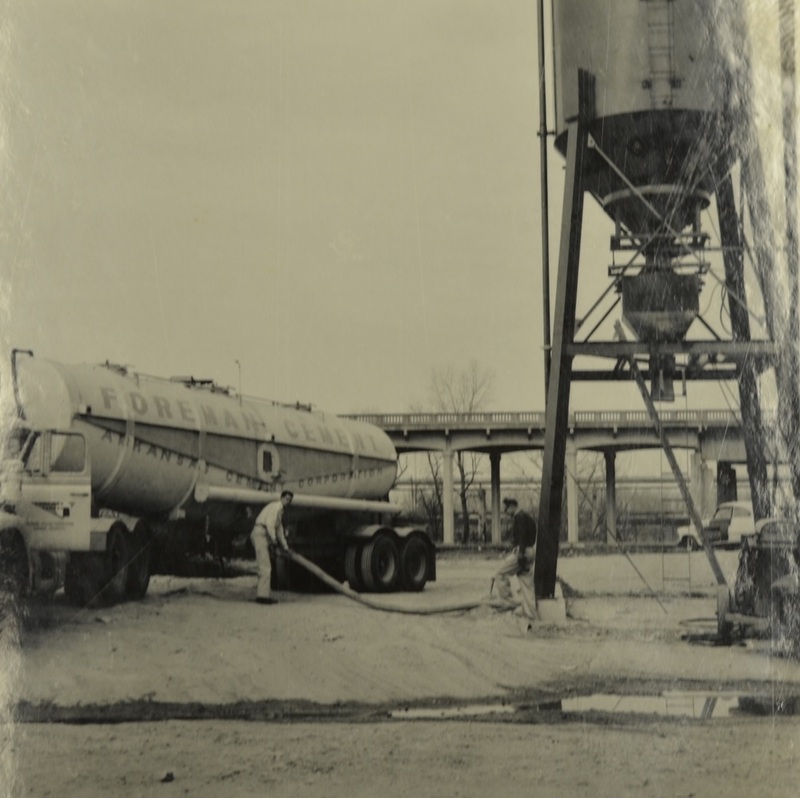 The first concrete truck was patented in 1926, not long afterwards Builders Supply became the first ready mixed concrete producer to serve Shreveport with the purchase of two 1 yard Rex Mixers. These mixers were outfitted on the back of International Harvester trucks. This picture from April 1932 shows the first concrete trucks in Northern Louisiana. Early concrete trucks had the mixer drum on a horizontal axis. Concrete exited at the center of the mixer drum which meant that the concrete came out at a low point which meant that only short chutes could be used. This type of mixer was used from 1932 until 1963. By 1935, Builders Supply had continued to grow even though the country was in the midst of The Great Depression. Builders Supply had purchased a third Rex Mixer and International Harvester truck combination. In February of that year Mr. Hamiter hired H.W.G. Golden to work as a shipping clerk. Mr. Golden attended Business College at night and would obtain an accounting degree. Within a couple of years, Mr. Golden had become the bookkeeper for Builders Supply. From the time he began working at Builders Supply, whenever Mr. Golden had an opportunity he purchased shares of the company. By 1961, Mr. Golden owned 100% of Builders Supply. H.W.G. Golden continued to work at Builders Supply until his death in 1999. 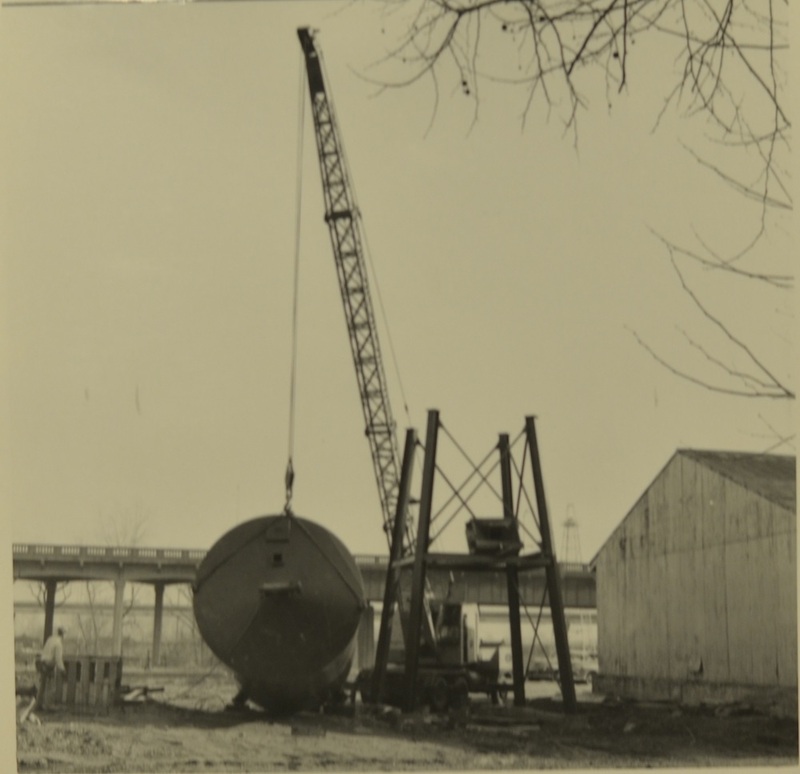 In February of 1960 a new cement silo was constructed at the end of the main warehouse on 3rd street. Before this silo was constructed bags of cement were loaded on a conveyor belt in the main warehouse. The bags would then run up the conveyor to the top of the truck where they were sliced open and the cement poured into the back of the mixer drum by hand. H.W.G. Golden’s oldest son, Grady C. Golden started working at Builders Supply after school and during the summers in the 1950s. Grady came on full time in the sales department after graduating from Louisiana Tech in the summer of 1961 and is currently Senior Vice President. Like his older brother before him, William F. “Bill” Golden started working at Builders Supply part time after school and during the summers. Bill came on full time in January 1965 after graduating from Northwestern St University and is currently Vice President. The sales staff pictured here in July 1961 include: Grady C. Golden, Charles Olson, N.R. Ward, J.W. Herring and J. Drew Moreland as Sales Manager. This picture from April 1966 shows the original sand and gravel bins and electric crane from 1932. This picture shows the main office and warehouse as it looked in September 1966. 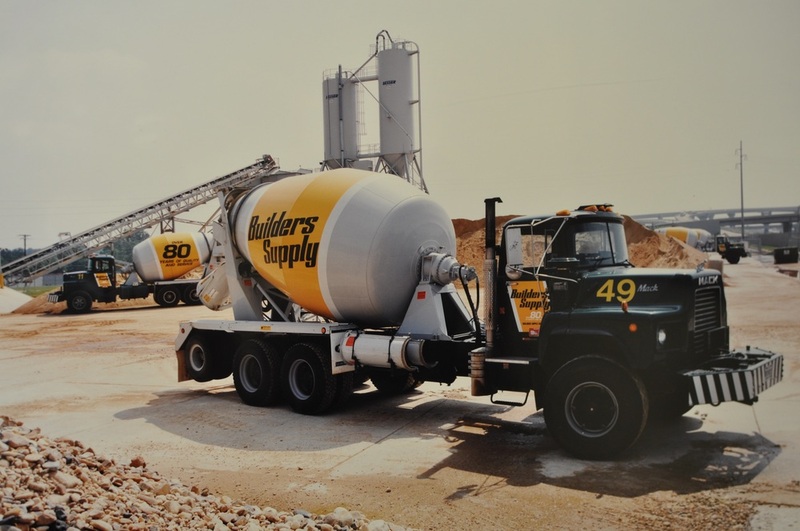 Beginning in 1963, Builders Supply started to purchase White Motor Co. trucks with inclined mixer drums to replace the older horizontal mixers. With concrete exiting the drum at a higher point, the drivers were able to use longer chutes which the customers preferred. Notice that the water tanks were mounted above the cab of the truck. The weight high up on the axis caused the trucks to be top heavy and slower to load. Today’s trucks have the water tank mounted to the side of the truck. This picture shows the fleet of trucks in 1967 in front of the main office. Crane Carrier trucks were purchased after the White Motor Company trucks. The Crane Carrier trucks proved to be strong and durable with a short wheel base and a half cab for the driver. This picture shows the construction of the Commercial National Bank parking garage job in 1976. Notice the Crane Carrier concrete truck with the half cab. This picture from 1973 shows Bill and Grady Golden along with Ollie Moore during the construction of the Commercial National Bank parking garage. In 1978, Builders Supply started purchasing Mack trucks like these shown here. Grady’s son, Carlton Golden started working at Builders Supply at the age of 15 during the summer and holidays. He started working full time in 1985 after graduating from Louisiana Tech. He began working in the sales department. For the next 14 years, three generations of Goldens worked for Builders Supply at the same time. Carlton would advance through the company, eventually, becoming the president. (1986 Commercial National Bank) Builders Supply supplied all the concrete for the Commercial National Bank. The building is now known as the Regions Bank Tower and at 26 stories it is the still the tallest building in Shreveport. H.W.G. Golden, Grady and Bill Golden, J.W. Herring and a bank office are shown in this picture from 1988 atop the Commercial National Bank parking garage. This aerial photo from 1988 shows the office and warehouse on Marshall St and the new building material warehouses. The cement silo that was originally located near the end of the main warehouse was moved near the aggregate bin to create a concrete plant on 3rd street. A second concrete plant was added on 4th street in 1971. You can also see original crane and gravel bin from 1932. In the early 1990s Builders Supply was operating two concrete plants just south of downtown Shreveport on 3rd and 4th Street and a third plant on Brooks Rd in West Shreveport. With travel times to portions of South Shreveport exceeding an hour, Builders Supply recognized the need to expand in that market. This expansion came in July 1993 with the construction of the St. Vincent plant. This allowed Builders Supply to more effectively service south Shreveport and surrounding areas. In 1991, Builders Supply won the Fleet Graphics Award for companies with between 5 and 25 mixer trucks given out by the National Ready Mixed Concrete Association. By 1995 Builders Supply had identified several markets for potential growth. With expansion in mind, Builders Supply developed a 10 years plan for expanding into surrounding markets. Builders Supply worked diligently over the next 10 years capitalize on these goals. 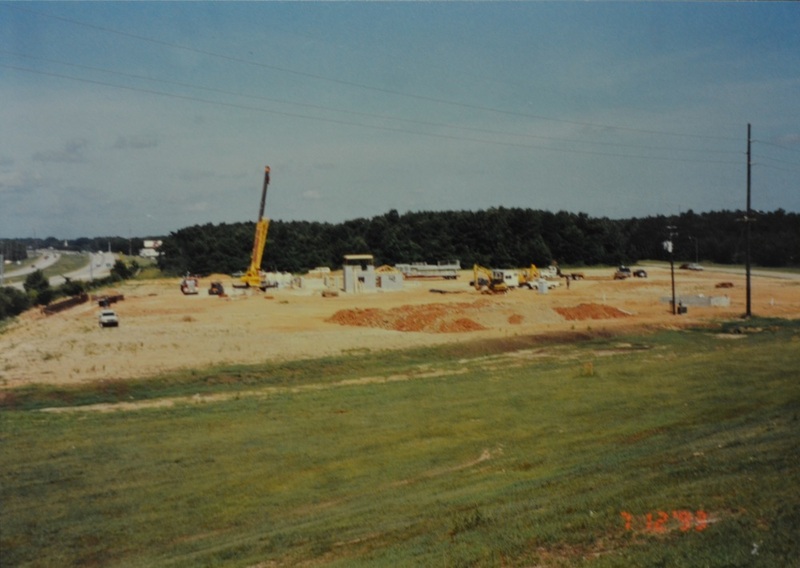 After customer requests, Builders Supply expanded into Webster Parish in 1998 with the construction of a new plant in Sibley. The expansion would continue in Webster parish with the addition of Springhill market in September 2002. In May 2003, Builders Supply moved into the Natchitoches market with the purchase of an existing plant and three ready mix trucks. This fulfilled a dream that Carlton had since he was in high school. 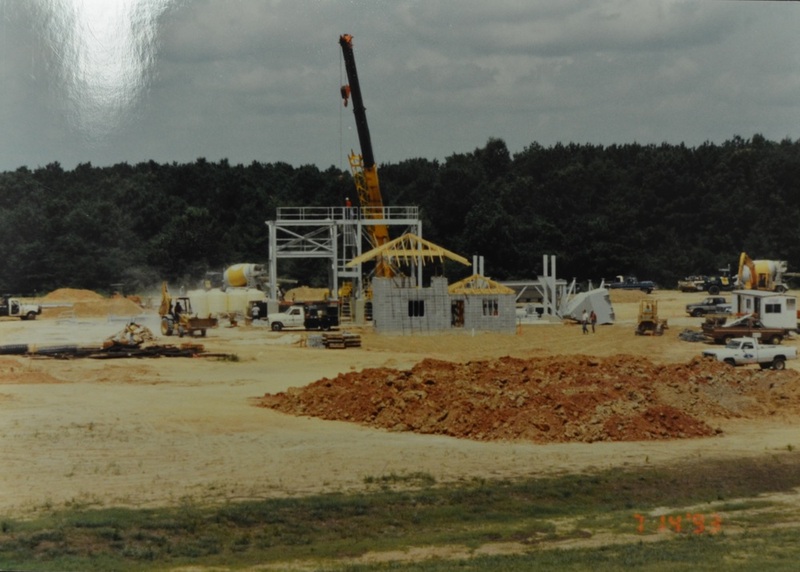 Builders Supply saw an opportunity in Desoto Parish and in September 2005 purchased an existing plant in Mansfield. A new plant was built on this site in the spring of 2011. 2007 proved to be a very busy year for Builders Supply with growth in the Winnfield market and a new office and plant in Bossier City. In 2009 Builders Supply worked with Peterbilt Motors Company to design a ready mix truck that could legally haul 11 yards of concrete. 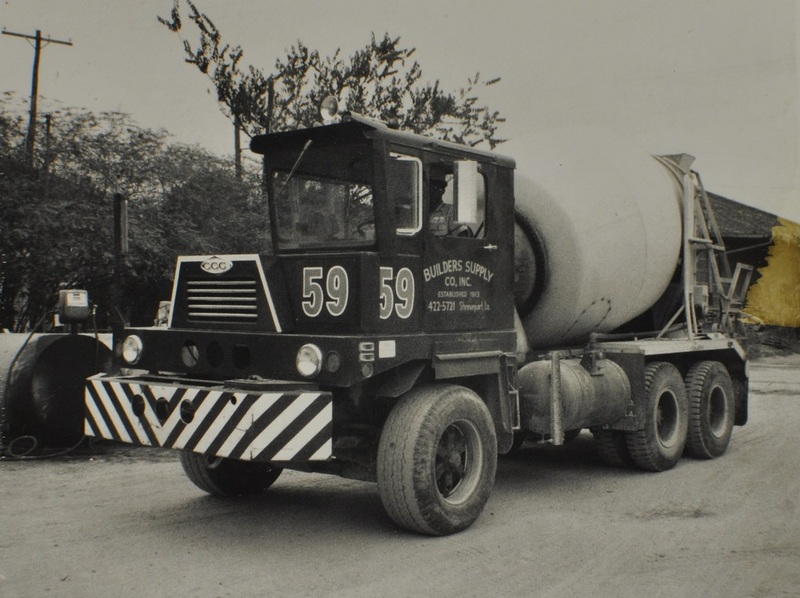 Later that year, Builders Supply took delivery of the first of these trucks. Seeing the positive impact of the use of locally produced fuel, compressed natural gas (CNG), for its community’s economy, the industry and the environment, the Builders Supply leadership and team went to work to start replacing their fleet to CNG. With this industry breakthrough, Builders Supply became among the first in the country to design placement of specialty tanks on industrial concrete trucks for the safe use of CNG, and the innovation has since been adopted by manufacturers as a model for other companies across the country. Today, Builders Supply Company remains family owned and has the fourth generation of Golden's working at Builders Supply. "We continue to operate and celebrates 100 years of quality and service to our customers in NorthWest Louisiana." Today, Builders Supply Company remains family owned and has the fourth generation of Golden's working at Builders Supply. We continue to operate and celebrates 100 years of quality and service to our customers in NorthWest Louisiana.